Coming the day after the 45th anniversary of the assassination of Dr. Martin Luther King, Jr., the new unemployment numbers show that unemployment is still high — and remains much higher for African Americans. One thing hasn’t changed in the last half century: if you're a person of color, you’re more likely to be unemployed. Even though the black unemployment rate fell by .05% this month, it still sits at nearly 13.3%, nearly double the overall rate. This gap in employment has led to an economic divide between the richest and the poorest in America that is about as bad as in the divide in Rwanda and Serbia. The top 20% of Americans earn 50.2% of income, while the bottom 20% earns just 3.3%. Yet Congress continues to do nothing to directly address unemployment. This is a dangerous trend. Recent studies — including one by the International Monetary Fund — show that countries with higher levels of economic inequality have slower growth rates, and that “economic inclusion corresponds with robust economic growth.” Urban economies affect the prosperity of the entire surrounding region, and ultimately the country as a whole. As our country grows more diverse, we must also acknowledge that economic inequality is closely tied to race, due to decades of past and ongoing discrimination. And this inequality undermines the racial progress that we have achieved. In the last year of Dr. King’s life, he was organizing the Poor People’s Campaign. He endorsed the Freedom Budget, a document that called for massive investments in public works and infrastructure, job training and education programs, and a higher minimum wage. The Budget insisted that smart investments in our most vulnerable citizens will spur economic growth. Unfortunately, this plan never moved forward. But its message proved prophetic, and Dr. King’s economic agenda is still relevant today. A strong and sustainable economic recovery requires an economic climate in which all Americans — regardless of race or class — can expect hard work to be rewarded with a steady job. This is not a partisan issue — it is an American issue. And Congress needs to act now. Earlier this year the National Black Leaders Coalition came up with solutions for fixing the current unemployment crisis. They included implementing important parts of the American Jobs Act to revitalize urban areas; funding the Urban Jobs Act to create youth jobs programs; and increasing the minimum wage. These policies echoed King’s recommendations 45 years earlier. Fifty years later, need to recognize that inaction is not a policy option; it has been tried; and it hasn’t worked. Let’s try something new. Let’s recommit ourselves to Dr. King’s economic principles and advance an economic agenda that bridges our nation’s divides and fosters an economic recovery in which all can benefit. 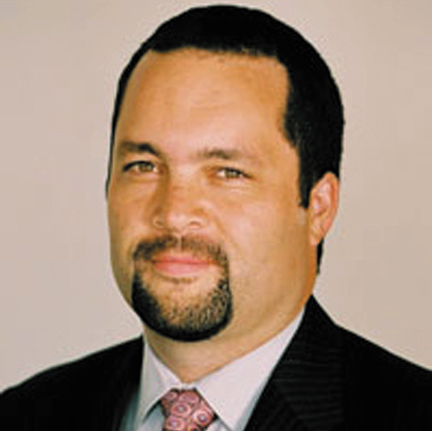 Benjamin Todd Jealous is President and CEO of the NAACP.